I love Valentine’s Day for many reasons! It is a time where people can show the person they love their real feelings without feeling bashful. It is a day where everyone can express their love to the people who are special in their life, no matter what their age. And who doesn’t love jewelry and flowers?? I have pulled together some of my favorite pieces to help celebrate the upcoming Valentine’s Day Holiday with some great and unique gift options!! How cute are these shoes?? This is the perfect shoe for Valentine’s Day. 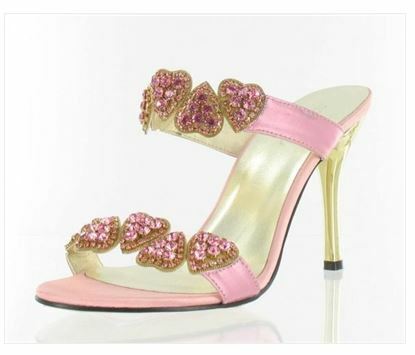 Make your feet feel festive with these pink leather and satin shoes with pink stones. This is one bouquet of roses that won’t wilt and will last forever. 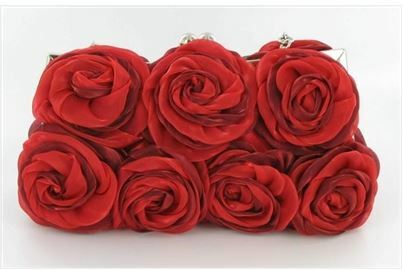 This is a great handbag to dress up your special evening. 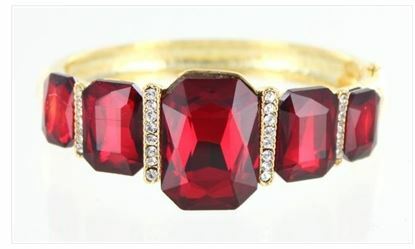 This Ruby bangle would be a great addition to your wrist alone or with other bangles! 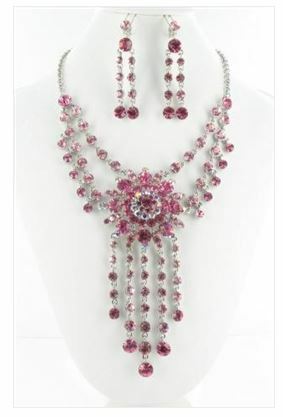 I love the shade of pink in this necklace and earring set. It is perfect for Valentine’s Day and also to wear into the spring! 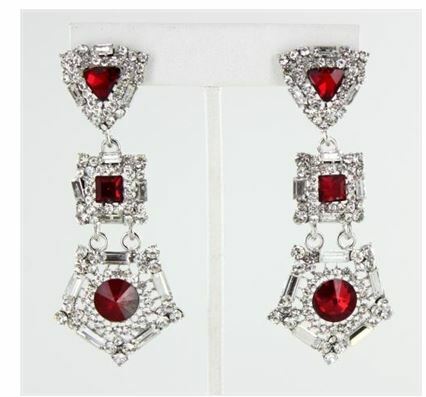 This vintage style pair of earrings will make any outfit a fashion statement! Check out my website for more great ideas for Valentine’s day gifts for that special someone in your life.